Virginia Woolf in Richmond by Peter Fullagar launches today. The book is a companion piece for the heritage project that will create the first-ever life-sized, full-figure bronze statue of Virginia. Installation is planned for the terraces at Richmond upon Thames Riverside. Published by Aurora Metro Books, the book provides an overview of the 10 years that Virginia and Leonard spent in Richmond, just a 15-minute train trip from central London. In it, Fullagar explores Virginia’s diaries and letters, along with Leonard’s autobiography, to reveal how Richmond influenced Virginia’s personal life, as well as her writing life from 1914-1924. The book and film are set to launch today, from 7-9 p.m. at the Richmond Literary Festival — and tickets for the event sold out a week ago. The statue features Virginia on a park bench. She is turned to face the empty space to her right that can be filled by any visitor who happens to take a seat there. The project, organized by the arts and education charity Aurora Metro Arts & Media, will be backed by a £50,000 public fund-raising campaign. While the sculpture design by Laury Dizengremel has generated mixed reviews based on its likeness to Virginia and its placement in Richmond, after reading Fullagar’s manuscript in preparation for writing the foreward to Virginia Woolf in Richmond, I think the suburb deserves a fitting tribute to Virginia. In his book, Fullagar makes a good case for Richmond’s importance in the personal and professional lives of the Woolfs. 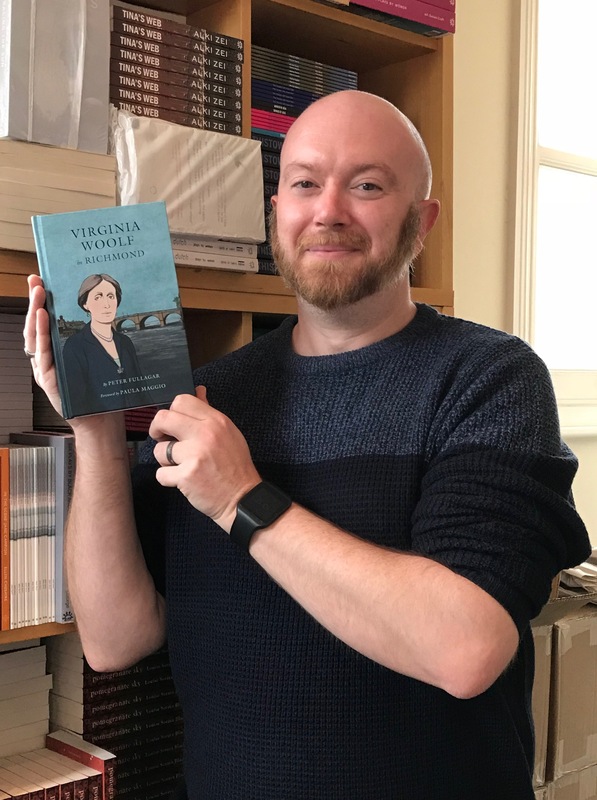 Read on for a Q&A with the author, which includes Fullagar’s explanation of how Richmond came to be seen as a place Virginia disliked, rather than one she appreciated, valued, and enjoyed, as born out by her personal writing. 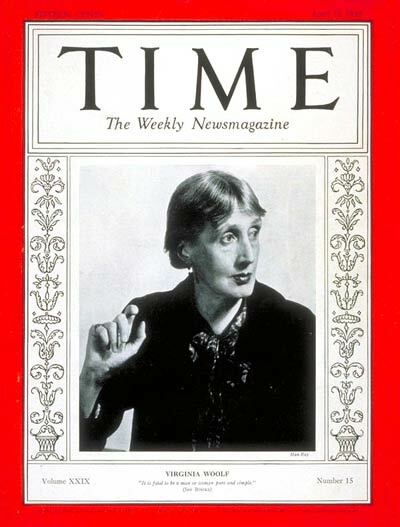 Why were Virginia Woolf’s years in Richmond important? Virginia Woolf lived in Richmond from 1914 to 1924 and in my opinion, I think they were crucial to her development as a writer and also for her health. In the previous years and in early 1915, Virginia had some of her severest health issues, and the area of Richmond was quiet with fewer distractions than central London to aid in her recovery. Richmond was also close to Burley House in Twickenham, the ‘rest home’ run by Miss Jean Thomas, where Virginia stayed when her illness was at its worst. It was Leonard’s idea to give Virginia a hobby to keep her occupied while in Richmond, and this was the founding of the Hogarth Press. The Hogarth Press gave Virginia control over her publications as she became anxious when sending her work to publishers for them to critique. The Press also allowed Virginia the freedom to experiment with her writing, and this is apparent with Jacob’s Room, published in 1922. However, I don’t think it was just the Press which gave Virginia stability; it was Hogarth House as well, due to its solid and safe walls, which I believe gave Virginia protection. In Leonard’s autobiography, he called the years in Richmond essential for her growth as a writer. Even when leaving Richmond and Hogarth House in 1924, Virginia writes a very eloquent and emotional diary entry which demonstrates her affection for the town and house. It is a shame that her time in Richmond is often overlooked. What type of research did you do to carry out this writing project? We knew from the start that the book was going to be heavily based on Virginia’s diaries and letters, and it is unfortunate that the originals are not held in the UK. Therefore, I bought every volume of her diaries and letters and meticulously went through each volume to find references to Richmond and the surrounding area as well as looking at her feelings while she was in the town. It was important for me to look at her own words while researching as this gave me her true feelings. As anyone who has read her diaries, she did not hold back with her emotions and opinions and they are a great treasure trove that has yet to be fully explored. It was vital to also look at what Leonard had to say about the time in Richmond as he can often be overlooked as well, and I found that his multi-volume autobiography often went into much more detail than Virginia did. I wanted to get Leonard’s opinion of Richmond and Hogarth House, as it was essentially his decision to make about where the couple should live. It was also interesting to see his reluctance to move away from Richmond as he thought staying there would be more beneficial for Virginia. What new insights about Woolf did your work on this project give you? Looking through Virginia’s diaries and letters, I feel I’ve got to know more about the woman herself. Previously, I’d mainly read her fiction, but her personal writing reveals many different sides to her. I found that she had a wicked wit and was rather humorous, but in a deadpan way; an example here is when she is explaining about a walk in Richmond Park with her dog Max, and unfortunately, her suspenders fell down. She was a great observer of people and things, and it was fascinating to see how she viewed the people in her life; her disparaging comments of Katherine Mansfield, followed by her lamenting Katherine’s death was intriguing to read and really showed me the duality that seems to permeate Virginia’s life and writing. It was, of course, disheartening to read about her struggles with mental health, but what was encouraging was that she was attempting to understand it and recognise the symptoms. However, it is merely the fact that she wrote it down and recorded it at a time when mental health was still rather taboo and misunderstood which impressed me the most. What draws you to Woolf? I first read Woolf while at school and then focused on her diaries for my Masters’ dissertation, so for a long time she has been part of my life. I’m very much a fan of the stream of consciousness writing style, and I find that I am intensely drawn to her works of fiction, especially The Waves, which is probably my favourite. She seems to be able to capture so many facets of a person through her writing, and I am sure that her life experiences have enabled her to do this. Through my Masters and research for this book, I have become even more interested in her personal writing, as well as those of other writers such as George Orwell. It’s fascinating to read and analyse feelings and emotions through the medium of diaries, and I am sure that I will continue to be intrigued. How and why did you get involved with the Virginia Woolf statue project? This was certainly a stroke of luck and good fortune. After I had decided to leave the teaching profession, I looked for volunteer roles to help me learn about editing and proofreading, as this was something I had always wanted to do. I came across Aurora Metro, and it was because they run a literature prize named after Virginia (The Virginia Prize for Fiction) and their campaign for a statue that I got in contact. I met with Cheryl Robson, the publisher, and we discussed how I could become involved with volunteering and helping out with editorial matters, but it was my interest in Virginia Woolf which led me to write articles on the statue project and eventually be asked to write the book. How do these two projects — the book and the statue — support each other as well as our understanding of Woolf’s life and work? I think that both projects complement each other very well. 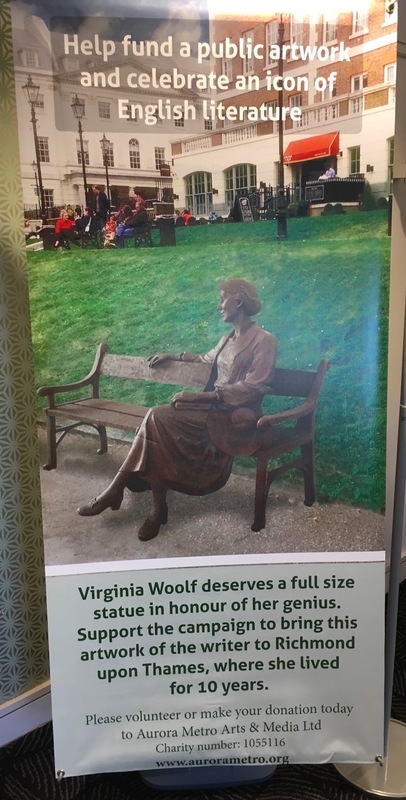 The statue project wants to erect a statue of Virginia Woolf in Richmond because she has not adequately been recognised as being associated with the town. The statue now has planning permission, which is a great step forward, and now we can continue raising funds to make it become a reality. The book, which as you know, focuses on Richmond, and tries to refute the idea that Virginia disliked living there. This has mainly been fueled by the fictional quote from the film The Hours, which has, unfortunately, been taken as truth by some people. The book aims to show how she felt about Richmond as it is often forgotten. I hope that after reading the book, people will understand why Richmond deserves to be recognised as a critical part of Virginia’s life and work and why the statue of Virginia needs to be put in its right place. What can you tell us about the film made regarding the statue project? The film for the statue project is a short ten-minute film, quoting some of Virginia’s diaries and letters to demonstrate her true feelings about Richmond. There are interviews with writers such as Anne Sebba, broadcasters such as Bamber Gasgoyne and Henrietta Garnett, Virginia’s niece. I appear in the film as well, talking about some of my research for the book. However, what I think is most important in the film is that we get to see the sculptor, Laury Dizengremel, talking about her inspiration for the statue – seeing her enthusiasm for the project is a joy. I think it is a wonderful way to show people visually how and why Richmond was important to Virginia. Do you have another Woolf project on your agenda? And if so, what can you tell us about it? This is an interesting question. The process of writing the book has been thoroughly enjoyable and I’ve loved doing the research for it, and to see the book come to life is magical. I am considering what to do next. There are many different avenues to explore, especially concerning Leonard Woolf, as I feel that he is sometimes left in Virginia’s shadow, but he was equally important in his own right. There were also many notable people who visited Leonard and Virginia, so there may be something that piques my interest there. Watch this space! Author Peter Fullagar with his new book Virginia Woolf in Richmond, which launches today. I’m sorry to say I ordered the book Virginia Woolf in Richmond on the day it was launched. The publishers charged my credit card but, I have not received anything yet. I sent them a couple of emails but got no reply. Do you know what the problem may be? I don’t know but I’ll pass your question on to Peter Fullagar. Sorry about this problem. How great that there is to be a statue, I like the concept of the park bench, no doubt ti would attract many readers ans well as walkers.